It amazes me how quickly a classroom can fill up with “stuff”. The last classroom I moved into my family was in shock as we unloaded box after box of teaching goodies. The amount of resources we use with our students is a tad bit overwhelming. But, knowing that I will be able to organize everything to create a functional, and probably, full classroom makes it all seem more manageable. I try to fill my cabinets with the tools I need on hand. So, my thematic packs and monthly centers are usually stored on top of my cabinets in crates. I love to use crates that coordinate with my classroom decor and are easy to sort through. Crates filled with centers can easily become a mess. 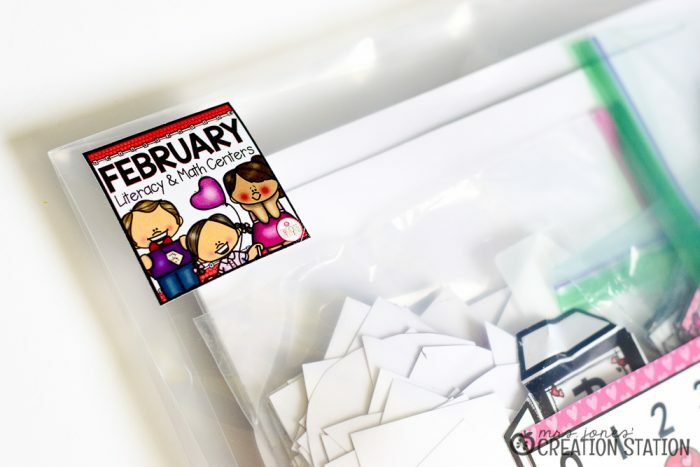 I grabbed these poly envelopes from Amazon to put each month of centers in. They are clear, strong and have Velcro closures on the top. 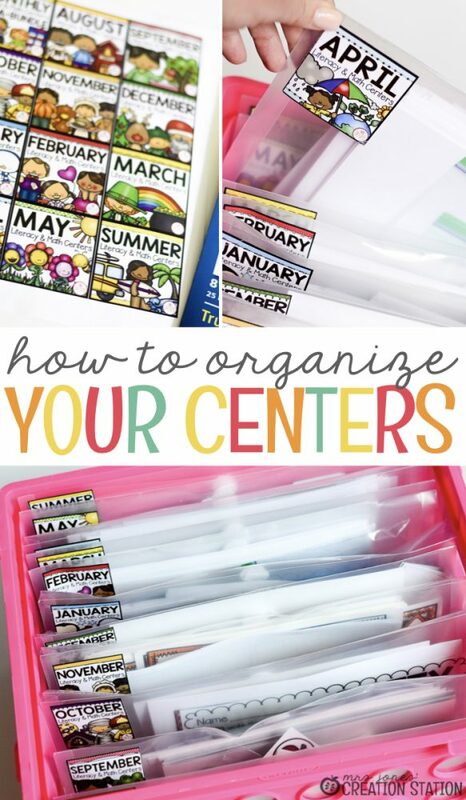 Perfect for what I need to organize centers in my classroom! For those small pieces, I try to use what I have on hand. 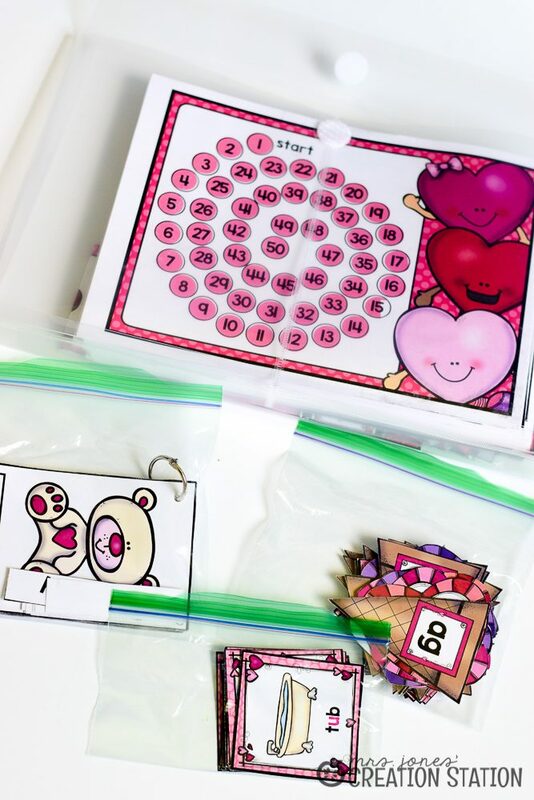 Since Ziploc bags are on the school supply list they are perfect for manipulatives or centers with pieces. And, they fit in the envelopes perfectly! Now that the centers are organized in their envelopes it’s time for some labels. Sorting through envelopes while I prep before the weekend is not on my agenda. So, having the envelopes labeled, organized and ready to grab is a must. Printing labels is my jam! 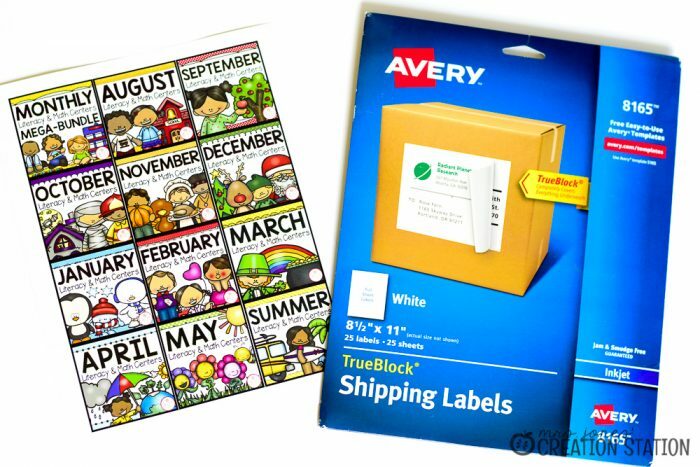 I love to use cute labels in the classroom, but trying to print labels on templates drove me a bit up the wall. Then I had a lightbulb moment…why not use full sheet labels. 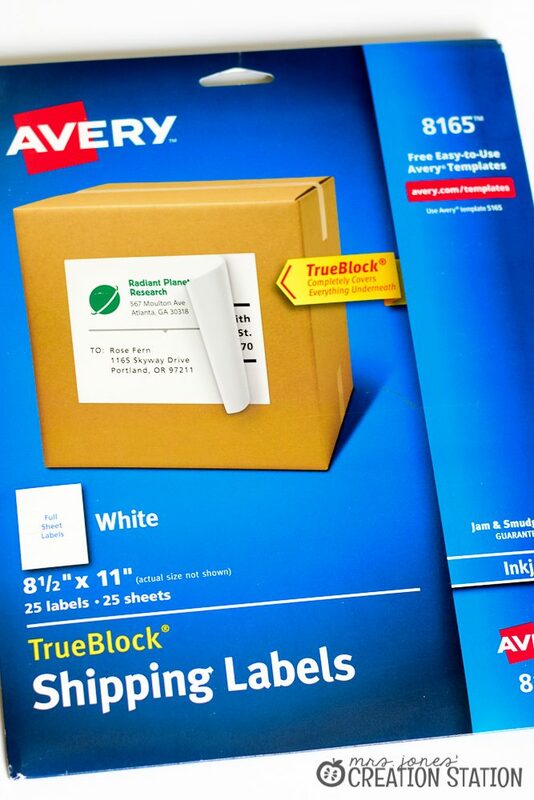 Full sheet labels made printing and using labels so much easier. 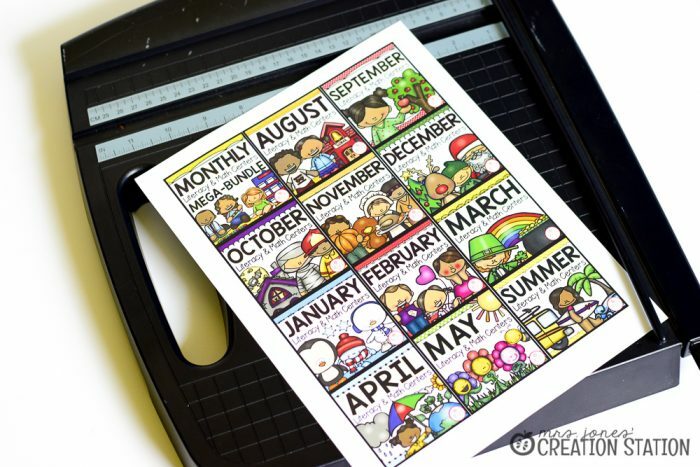 Just print, cut, peel and stick! So simple and way less expensive. Once the centers are organized for the year, I put them in my colorful crate. 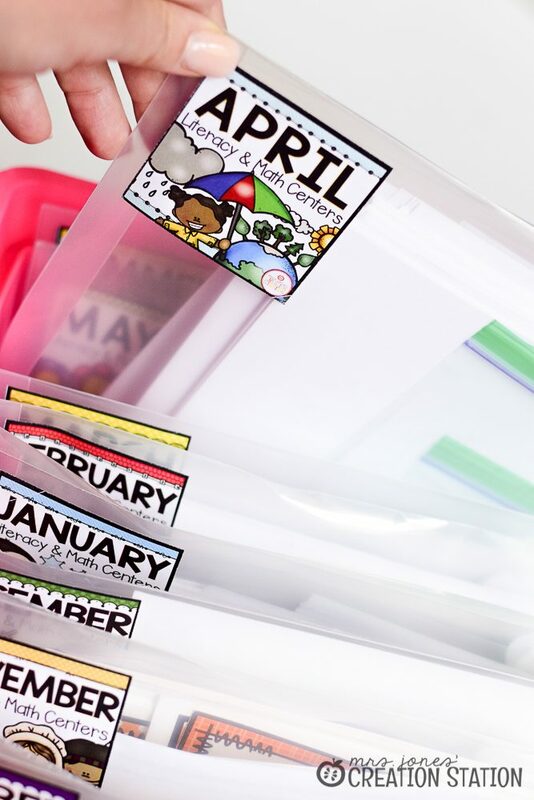 And, they are perfectly labeled and ready to use for the year. This system makes clean-up easy, too. All I need to do it grab the centers to put back in the envelope and baggies. And, put them back in the crate. Done! 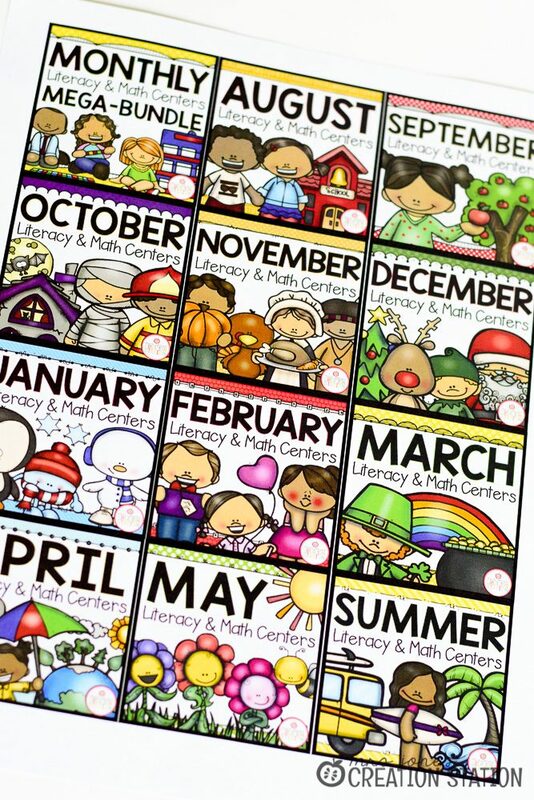 Do you have my Monthly Literacy and Math Centers and want to use this system in your classroom? You can download the center labels by clicking the MJCS download image below. Hi. I love your storage ideas and want to put it into pratice but the “Downlaod here” icon doe snot have a link attached to it. Please help. Thank you. Hello! Are the above labels editable? 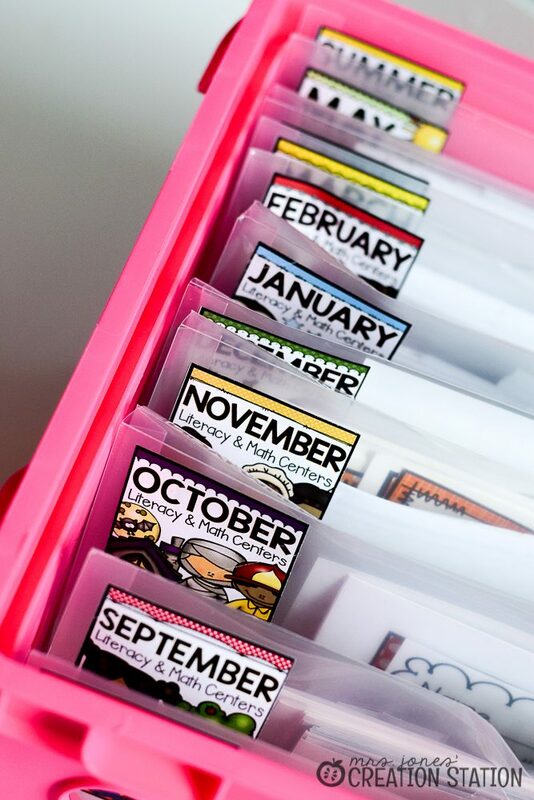 They are SO handy for my organization necessary brain! 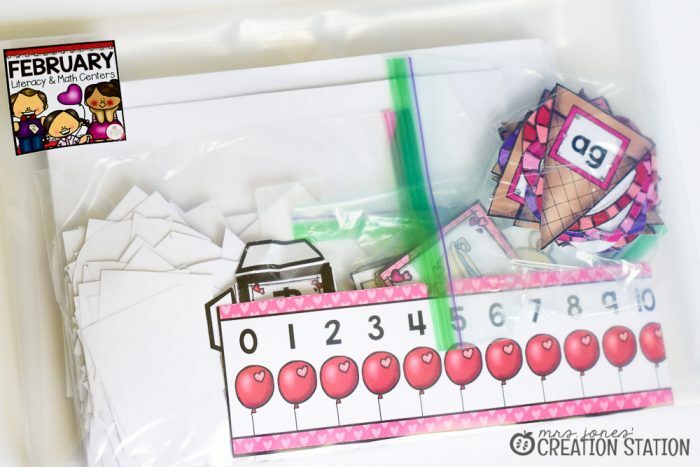 I purchased your Mega Bundle from TPT, and would LOVE to have labels for the other components of that bundle as well!!!! (I.E. Calendar, Themes, Math, etc.) Thanks! Hey! Do you use the legal size or letter size for the storage envelopes? I use the legal size envelopes!